Google AdWords remarketing is a form of online advertising that enables sites to show targeted ads to users who have already visited their site. Past visitors will see these ads while they are browsing the web, watching YouTube videos or reading news sites, for example—keeping your brand top-of-mind and enticing visitors to come back for more. If you already advertise on Google, all you need to do is add a piece of Google remarketing code, also known as a tag or pixel, to your website so that visitors can get added to your remarketing audiences through browser cookies. You can customize the code for different pages to correspond to more defined categories. For example, let's say you operate an e-commerce business that sells kitchen supples. You might create a “toaster” remarketing audience based on people who visit the pages of your site where you sell toasters. That way, you can show these specific visitors highly targeted display ads that market your toasters. You already know they are in-market for toasters, and now you can draw them back, perhaps with a special offer like "free shipping." Using remarketing, you can show Google ads to your previous site visitors while they browse the vast number of Google partner sites in the Google Display Network. Google recommends that when you are starting your first remarketing campaign, you begin by targeting everyone who viewed your homepage. Just remember, that will increase your Google remarketing costs since your ads are being retargeted to more individuals, and you won’t be able to create ads that are quite as targeted. By targeting more narrowly, you can therefore increase ad relevancy and lower your cost per click. Eventually, you can create different Google remarketing lists for super-targeted remarketing campaigns; for example, you can choose to show users who have already purchased from your site different ads from non-buyers (such as an offer for 30% off your second purchase). Google ad retargeting is powerful online marketing technique because it allows you to stay connected with your target audience, even after they leave your site. By presenting your display remarketing banner ads to visitors even as they browse other parts of the web, you are gaining brand exposure and becoming more recognizable to your target audience, raising trust and making them more likely to purchase from you. You’ll see even better conversion rates when you start to combine remarketing campaigns with additional targeting methods, such as targeting by demographics. However, keep in mind that users have the option of opting out of seeing your retargeting ads by adjusting their settings in accordance with the AdChoices program. How Much Does Google Remarketing Cost? Your Google remarketing costs will vary depending on how your campaigns fit into your online marketing strategy as a whole. However, in general, Google remarketing ads are some of the most cost-effective ad campaigns available to online advertisers. Search ads in super-competitive industries can cost several dollars or more per click – and that’s just the average (with some keywords costing more like $50 per click). 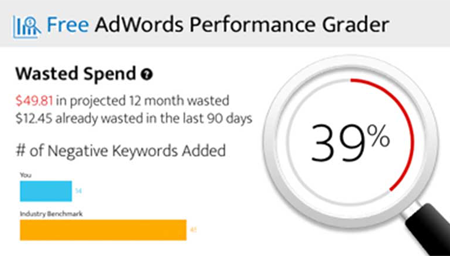 Display and social remarketing ad clicks by contrast might cost anywhere from 2-100x less. To keep costs low, use Google remarketing in combination with contextual targeting, conversion filtering, frequency capping, and other cost-saving strategies. This will enable you to create highly targeted remarketing campaigns and increase your ad relevancy, showing most of your ads to the people who are most likely to click and convert. When you remarket on the Google Display Network, you have the option of creating display ads that incorporate text, images, videos, or rich media. For help making customized Google remarketing banner ads, try using the free Google Display Ad Builder. You can choose from a number of pre-existing templates and then customize them for your business, selecting from a variety of Google remarketing banner sizes and formats. WordStream also offers tools that dynamically scan your website for copy and images, then automatically build great-looking display ads to use in your remarketing campaigns. Looking to learn more about advertising on Google?